Well its been on the cards for a while now but Rupert Murdoch has made the move and will be installing a paywall on the Times and Sunday Times websites from June 2010. 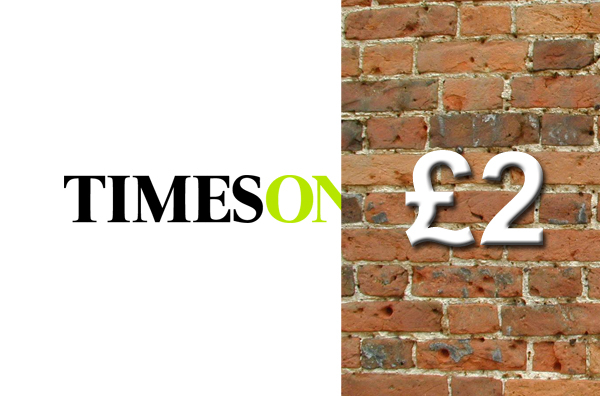 Once the Times paywall is installed it will cost users £2 per week or £1 for a 24hr our pass (free for subscribers to the print edition of the paper) and many website users are already displeased and reporting they will be parting ways. Both the Times and Times on Sunday are currently being update to provide new content to subscribers including live debates upgraded graphics and more analysis in an effort to justify the charges. The new sites will be available to preview in May to see the content before you subscribe. It will be interesting to see the results.